Zermatt is indeed famous for skiing but they also offer other winter sports such as ice skating and curling. Ice skating and ice curling have come up as coveted ice sports with prominent place acquired in such revered sports events as the Olympics. While Ice Skating embraces a highly elegant sport that endows the skater’s body with a feeling of weightlessness, Ice Curling can send one’s adrenaline high with its unique ice surfaces. Wondering what accounts for the difference between the two sports? Well, here are the basic facts about the two sports which are in essence completely different. Ice skating embraces the use of special skating shoes that generally come with a single blade and help skaters glide atop the surface of ice smoothly. The sport like any other winter sport requires immense expertise and skills since skaters need to balance themselves well and carry out the different activities that the specific kind of ice skating requires them to perform. The Winter Olympics witnesses some of the major forms of Ice Skating, namely, Speed Skating, Figure Skating, Ice Hockey and Ice Dancing. As the name suggests, speed skating involves racers racing through short-tracks as well as relay race tracks of ice. Ice Hockey is another form of ice skating sport encompassing playing hockey on ice whereby two teams skate along to hit the ball with a stick and send it across to the opponent’s net. Figure skating and Ice dancing are almost similar in their movements since both of them comprise performing moves in rhythm to mellifluous music, the only difference being ice dancing is always performed in pairs and does not allow any sort of lifts which form so significant a part of Figure Skating. There is an ice rink during winter between Tasch and Randa where visitors can enjoy ice skating. Equipments can be rented there or at Zermatt’s many sports shops for visitors to have an excellent time. 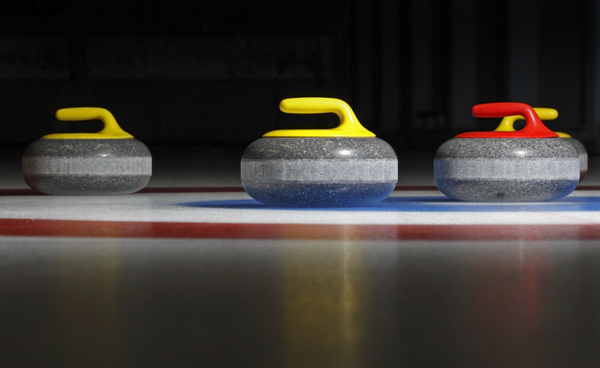 The game of ice curling involves two teams with 4 players each and each one of the players possessing two rocks or granite stones for throwing. The players take up 4 positions, namely, the Lead, the Second, the Vice and the Skip to throw the stones across the single lane of the ice surface towards the circular place on the sheet referred to as the House. The points are determined in accordance with the closeness of the stones to the house center and the accumulated score of both the teams post eight or ten rounds decides the winner. There are three fundamental shots that can be performed on the stones. They are Draw that is when the stone comes inside the house, the Guard whereby the rock comes to a halt just a short distance off the house and may be used to curl later or protecting another rock inside the house and Takeout where a granite stone comes with enough weight to pass through the house. At the ice rink in the center of Zermatt, visitors can enjoy the wonderful sport of curling during winter. There are 16 outdoor ice rinks in Zermatt to enjoy curling. You can either enjoy a game or watch the professionals play during winter. The Zermatt Curling Club is one of the most successful in Switzerland. The top curlers in the world trained on Zermatt’s ice. In the third week of January, Zermatt hosts one of the largest and most beautiful open-air curling tournaments in Europe, the Horu Trophy. Over 60 teams from throughout Europe make the trip to Zermatt to compete.